Employee or Independent Contractor? You Don’t Get to Choose. My client, Marylou, has just started a small business. 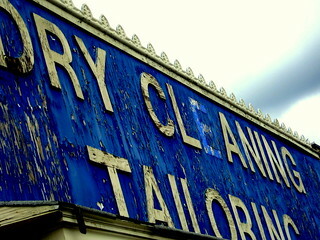 In this case, we formed a corporation for her dry cleaning business. Marylou is the new president of ABC Startup Dry Cleaning, Inc. She barely has enough money to pay rent and buy equipment, but she can’t run a dry cleaning business by herself. Marylou needs to hire people. She needs someone to do her bookkeeping and someone to run the machinery. One of her great new ideas to expand the business she just started is to hire a delivery person to pick up and deliver clothing to busy clients. Finally, the whole store needs repainting to look fresh and new. Marylou calls to ask me if I can draft independent contractor agreements for all these workers—the bookkeeper, the delivery person, the machine operator and the painters. She would like it if they were independent contractors instead of employees because she does not want to pay all the accompanying taxes and paperwork that are required when hiring an employee. As an employer, she would have to withhold taxes and her employee’s portion of Social Security and Medicare taxes. The best way to do that is to hire a payroll service, another expense to add to the list of already long list of expenses her new business has generated. She’d also have to pay and file for Worker’s Compensation and Unemployment taxes on an employee’s wages. Independent contractors are responsible for their own taxes. Additionally, Marylou doesn’t want to be responsible for her driver’s liabilities, in case he gets into an accident. An employer is legally responsible for the negligence of her employees, but not her independent contractors. I advise Marylou that while she can certainly hire a painting company as an independent contractor, and a bookkeeping service, she may have more trouble with claiming the workers running the dry cleaning machinery as independent contractors. Should they get hurt on the job, should she fire them, they will seek Worker’s Compensation or Unemployment Insurance and a Department of Labor audit will carry very heavy fines and penalties. This is true for administrative staff too. While the advantages of claiming the people who work with you are independent contractors instead of employees can be great, the penalties for being wrong are harsh.